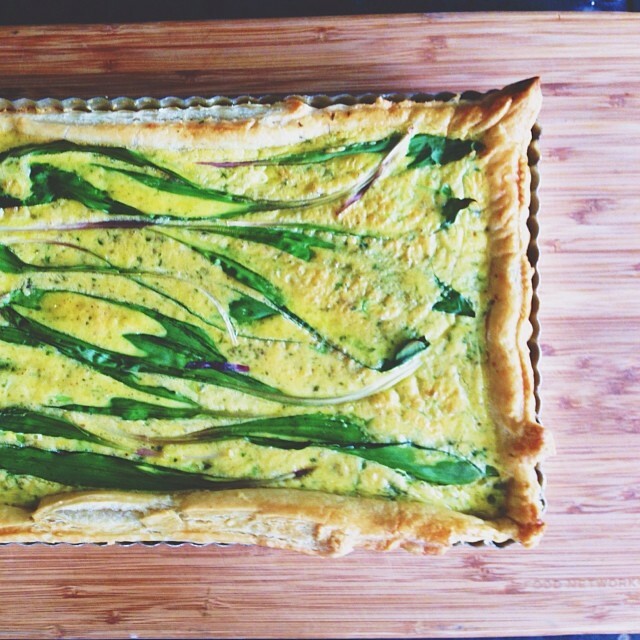 Ramp and Parmesan tart. I foraged so many ramps, were going to be so sick of them after this next week, but they are delicious. Place puff pastry in baking dish. Poke holes at the bottom of the puff pastry with a fork before pouring in mixture, like you would with a pie. Lay the fresh ramps on top after pouring the egg mixture and baked in a puff pastry shell until the egg set.